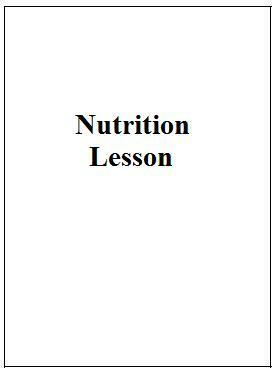 Provide effective nutrition education for individuals and groups from diverse populations. Translate the role of nutrients and food to provide for health and well-being. Use appropriate technologies within the discipline. The purpose of this portfolio is to provide a communication tool for internship directors which demonstrates my abilities and skills in the field of food and nutrition. It shall also serve as a focal point for the director before, during, and after the interview. 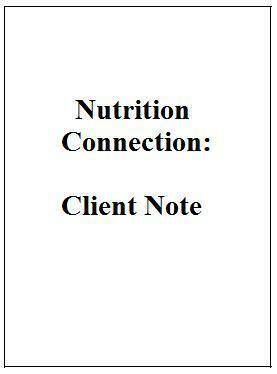 Complete Bachelor's Degree in Nutrition - Dietetics track. Acquire a position in an accredited Dietetic Internship program. Take the Registration Examination for Dietitians and obtain registration. Continue with life-long learning through continuing education classes on diverse topics within the field of food and nutrition. Advance in the field and obtain a professional position as a registered dietitian. 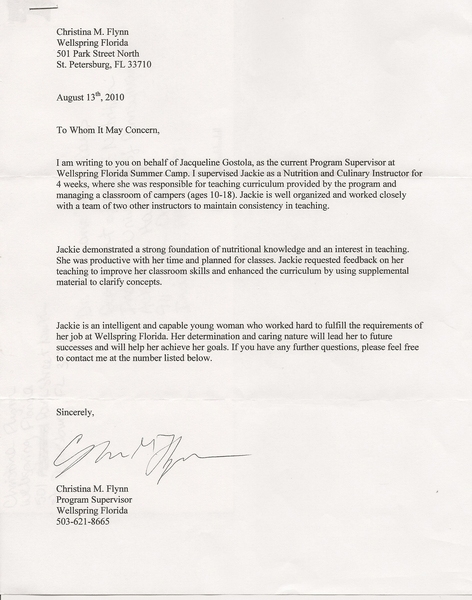 Jacqueline Gostola is a senior at Indiana University of Pennsylvania (IUP). She is working toward a Bachelor of Science Degree in Nutrition following a Dietetics Track. She is expected to graduate in May 2011. She is a dedicated student and has worked hard to maintain a 3.36 cumulative GPA. She has made the Dean's List three of six semesters since she has been at IUP. 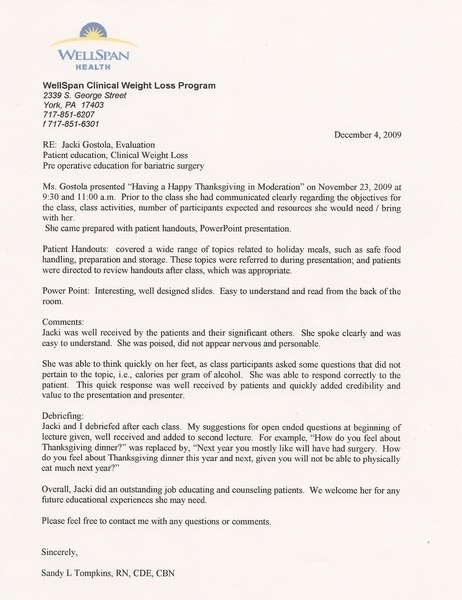 Jacqueline is a member of the American Dietetic Association as well as the Pennsylvania Dietetic Association. When classes are not in session, Jacqueline has spent her time gaining practical experience in the field of food and nutrition. 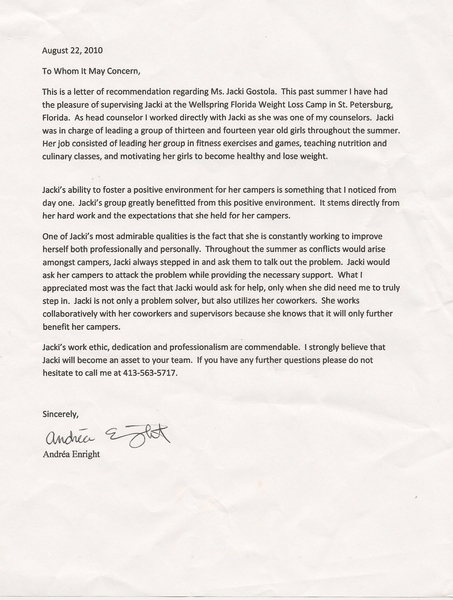 Specifically, she has experience in working in the area of weight management and public education. She is eager to learn and is constantly striving to improve her skills in order to better serve her coworkers and clients. She believes that the practical experiences she has had have greatly helped to prepare her for her future as a professional. She looks forward to continue learning after she receives her undergraduate degree. 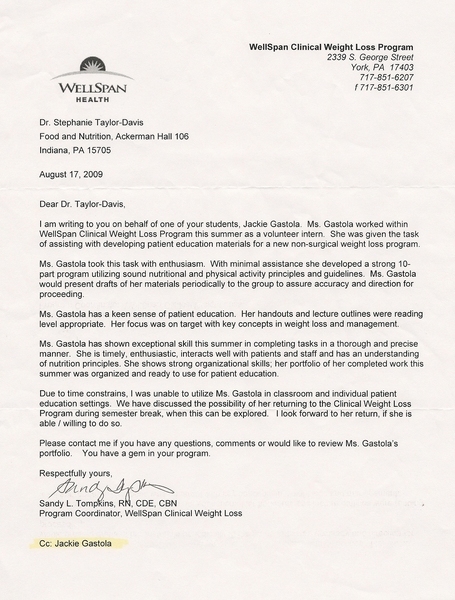 After graduation, Jacqueline is hoping to complete a dietetic internship. She then plans to take the Registration Examination for Dietitians and obtain her registration. She has a passion for working directly with obese youth and hopes to obtain a professional position working in this specific area of dietetics.